Recorded Live at Kosei-Nenkin Hall, Tokyo, Japan - July 31, 1978. Files: 8. :: Size: 133,69 MB (mp3) / 415 MB (flac). 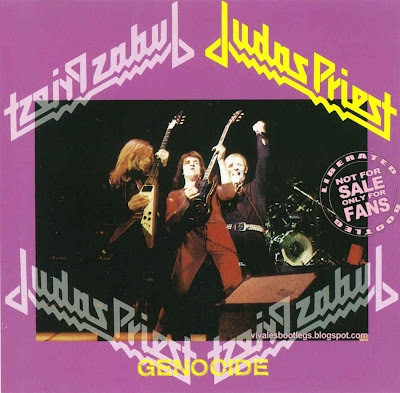 Personnel: Rob Halford – lead vocals :: K. K. Downing – rhythm and lead guitars, backing vocals :: Ian Hill – bass, backing vocals :: Glenn Tipton – lead and rhythm guitars :: Les Binks – drums. 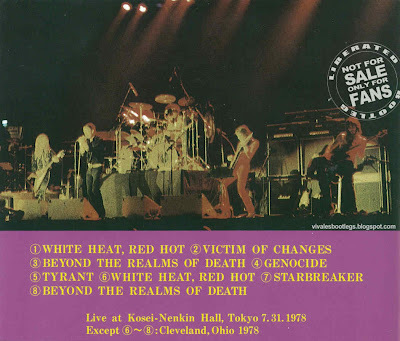 Notes: *1)Live at Kosei-Nenkin Hall Tokyo Japan July 31 1978 :Ex SOUNDBOARD RECORDING *2)Live At Cleveland Ohio 1978 :Ex SOUNDBOARD RECORDING :::: This Sound material is the one at the 1st japan (east) tour! The Rob's vocal in the 1st japan tour is very exciting and amazing high tone voice. Superb vintage material!. There seems to be a lot of extra-flashy instrumentation ("Genocide" runs very long with extra guitarwork; "Starbreaker" has a short drum solo). Judging by the way the Japanese girls scream during the first 5 tracks, you'd think they were a pop band.<-(Info taken from original info file).